Uighurs who successfully fled Chinese persecution, which has increased since the government enacted a law banning freedom of worship, now enjoy the liberty of practicing their own culture and religion in a Uighur neighborhood in the central Anatolian province of Kayseri where they were placed after a difficult journey. 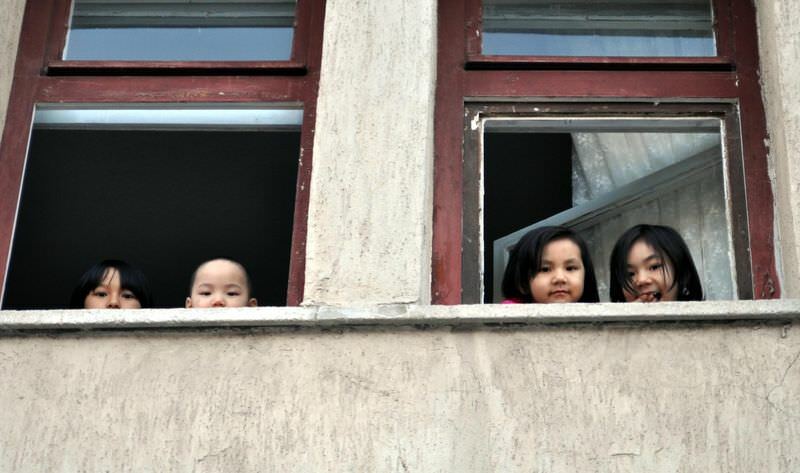 The Uighurs, who completed the trying journey to Turkey, were placed in lodgings allocated for them in Kayseri, a province that first opened its doors to Uighurs seeking refuge from China in the 1950s. Uighur refugees told a Turkish daily of their life full of difficulties back in China and the troublesome journey before they found a safe haven in Turkey. The houses granted to the refugees were reportedly comfortable and well-decorated and that the Turkish flag and the flag of East Turkestan, Xinjiang in Uighur, were flying in the neighborhood. Unlike other refugees who use Turkey as a terminal to pass through to European countries, Uighurs consider Turkey their final destination. They explained the reason for this as: "Nowhere welcomes us, but Turkey does. For example, Saudi Arabia sends us back to China unless we have a residence permit." Since the influx of Uighurs fleeing China continues apace, the refugees reportedly refrained from detailing the route they had followed before arriving in Turkey. "A $50 to $100 bribe is required to be paid to get a passport, which still has no guarantee. Even if you have one, it is not easy to come to Turkey. China would not let us leave the country, so some had to resort to the solution of traveling to the coastal cities of China by getting on the back of trucks pretending to be workers. You have to pay $250 for this journey. Then the drivers bribe the police. Negotiations are made with human smugglers in neighboring countries such as Cambodia and Thailand. The smugglers then take the Uighurs to Malaysia. The journey could last 15 to 20 days, during which some can die." The refugees avoided giving further information as they said they have relatives who are trying to make it to Turkey. Some Uighurs have been forced to seek shelter in other countries because of the pressures they face in China. 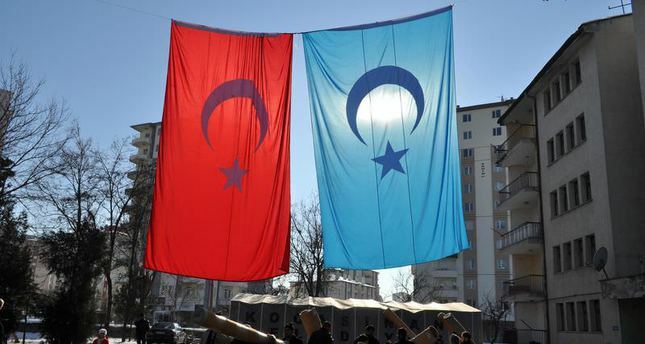 Turkey had previously expressed its stance on taking Uighur asylum seekers when they officially requested Thailand to send 367 Uighur refugees to Turkey and not back to China, where they could face possible death sentence upon return. Dozens of people were spotted at a human smuggling camp in southern Thailand in March who were found to be illegal immigrants by Thai officials. The group of people identified as Uighurs from China's restive northwestern province of Xinjiang had fake Turkish passports and sought to escape oppression China. Turkey acted sensitively over the issue owing to the fear that the Uighurs could be killed if they were sent back to China, and made a strong case that they should be transferred to Turkey. Shaking off the oppression they had been coping with back home, some of the refugees were able to reach Turkey without getting caught in Thailand, many of whom were aided by Turkey's helping hand. Among the 500 who arrived in Turkey are reportedly also those who broke free from a human smuggling camp in Thailand. Seyit Tümtürk, the vice president of the World Uyghur Congress, said that Turkey opened its doors to Uighurs just like it opened its doors to Iraqis and Syrian refugees on humanitarian grounds. Turkey, he said, had no planned attempt over the matter. He previously said that the harsh crackdown by Chinese authorities and their policies of assimilation were at a peak. "East Turkestan is the only region where fasting is banned. On the first day of Eid al-Fitr, two villages were razed in Kashgar and 3,000 people were killed there, and the whole world refused to utter a word of objection. Twenty-seven of our brothers from East Turkistan who were held responsible for the killings were condemned to death," he said. Supporting Tümtürk's claims, the refugees said the reason why they had to leave China was the severe pressure they were exposed to. "We were not allowed to sell our own products. They did not allow us to sell halal food. Praying is forbidden. They forcefully remove headscarves from women. The state repeatedly keeps us on probation by accusing us of dividing the country. We cannot teach our children our customs and culture," one of the refugees reportedly said.